I happily snapped away during a snowy morning and when I went back and looked at the images..there was a HEART shaped snowflake floating past the squirrel’s cheek! It might not be one snowflake, maybe two just ran into each other, but it looks like a heart doesn’t it? THE WORDPRESS ISSUES OF YESTERDAY SEEM TO HAVE BEEN IRONED OUT. 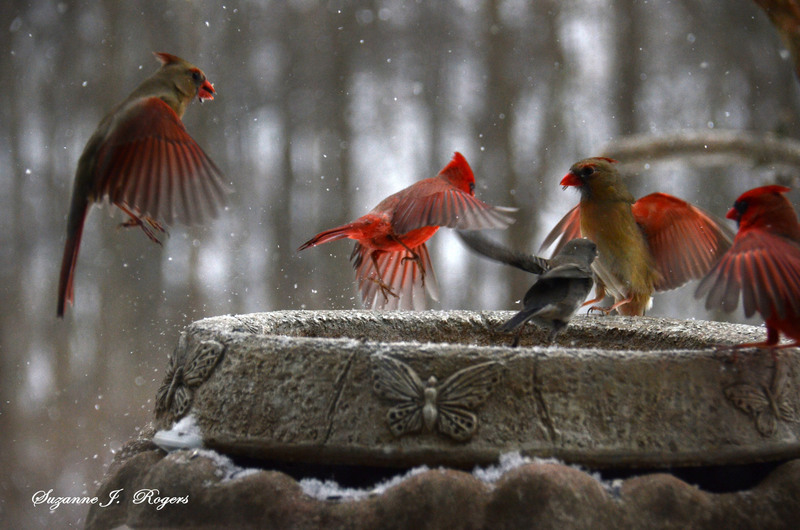 BECAUSE THE SNOW AND COLD ARE HANGING ON WITH A GREAT AMOUNT OF DETERMINATION, I’M SHOWING YOU SOMETHING ELSE THAT’S HANGING ON WITH GREAT DETERMINATION…THE BIRDS. 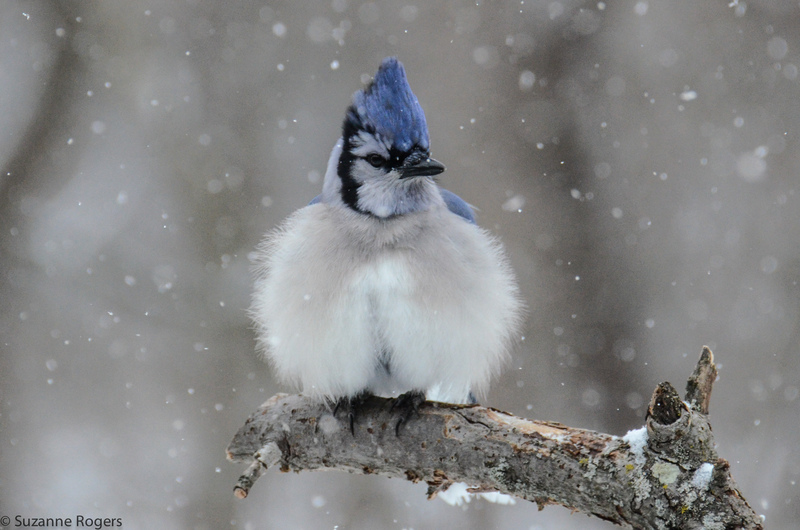 THIS IS A BLUE JAY, FEATHERS ALL PUFFED UP TO KEEP OUT THE COLD.